When you are over 55, retirement communities are worth considering. 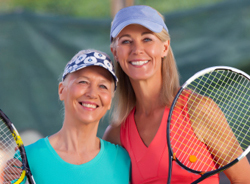 Florida retirement communities have a lot to offer, including the ability to maintain an active lifestyle and live independently. Your retirement should be spent doing the things you want to do, so why not find a place to live that gives you plenty of great opportunities? Being a senior doesn’t mean that you just sit around doing nothing! 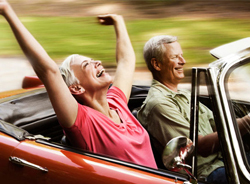 Retirement is meant to be enjoyed, and that includes more active hobbies. Whether you love tennis or swimming, there is no reason not to do the things you love. Vienna Square offers a variety of options for the active senior, including a health and fitness room, a pool, and even a ballroom for those who love dancing! Of course, the central location means that there are plenty of other fun options for active entertainment as well. Vienna Square is located in Central Florida, so there are plenty of other ways to stay active and enjoy your retirement nearby. You would be amazed at how much walking you do when you go to a theme park, and of course they are great fun! See the penguins or ride the Manta at SeaWorld. Disney is a great option as well, with several parks to explore including the Magic Kingdom, EPCOT, Hollywood Studios, and Animal Kingdom. Theme parks like these and others are a great way to spend the day on your own or with friends and family. Of course, Florida also has plenty of beaches, as well as places like St. Augustine to explore. For anyone over 55, retirement communities in Florida like Vienna Square are great options for those looking for a way to get the most out of their retirement. 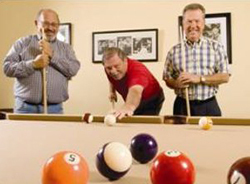 Vienna Square is a great place for those who want to enjoy their retirement while staying active. 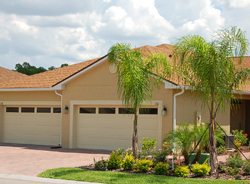 As an active senior community in Florida, Vienna Square is conveniently located and offers plenty of amenities. On top of that, we offer different housing models for residents. There are a variety of options in single-story homes or maintenance-free villas. What better way to get the most out of your retirement than by living in a community that offers the best of both worlds? You get the benefits of a community designed for active seniors with the freedom of independent living. For those over 55, retirement communities like Vienna Square offer proximity to entertainment, plenty of activity options, and great homes all in one convenient package.